Calling all singers, jugglers, pianists, dancers, magicians, poets, lip synchers, and pie eaters…It’s almost time for the annual 3rd-5th grade Pie Social and Talent Show! 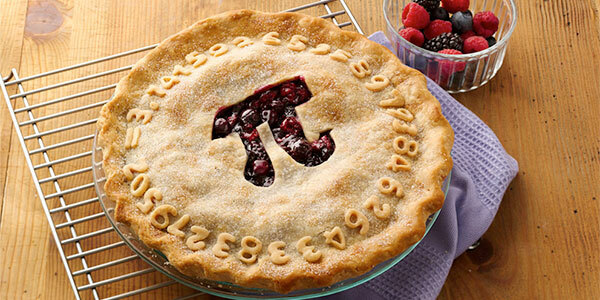 Pi(e) Night will be on Monday, March 14, from 6:30-8pm in the SES cafeteria. This is a fun community event that gathers grade 3-5 families to eat delicious pie, socialize, and watch our students perform. Please encourage your kids to share their talents (in groups or solo)! Look for Talent Show sign-up sheets in the 3rd-5th grade classrooms, or send an email to dianadeumling@gmail.com with the performer’s name, grade, and type of performance. Thanks to Mo Phillips, who will emcee the talent show this year! Don’t have time to make a pie this year? Pacific Pie has you covered. You can pre-order one of their delicious pies, and they will donate $5 per pie back to Sunnyside! Visit their website to choose from many mouth-watering varieties: apple, key lime, chocolate peanut butter, strawberry rhubarb, coconut cream…and many more. Pies must be pre-ordered 48 hours before the pickup date. Families are encouraged to pick up their orders on Sunday the 13th, because there could be long lines on Pi(e) Day. All orders need to be called in to the SE restaurant: 503-381-6157. Callers should identify themselves as Sunnyside supporters. See you at Pi(e) Night!